Subaru WRX STI IHI RHF5HB VF36 VF42 VF53 twin entry ball bearing turbo on EJ20 EJ25 engine with AVCS or Non AVCS engine. 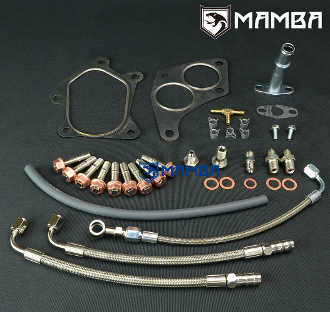 1 x 4AN Oil Feed Line Kit with 1.0mm Restrictor. 2 x 4AN 5/16" S-90 Water line kit.